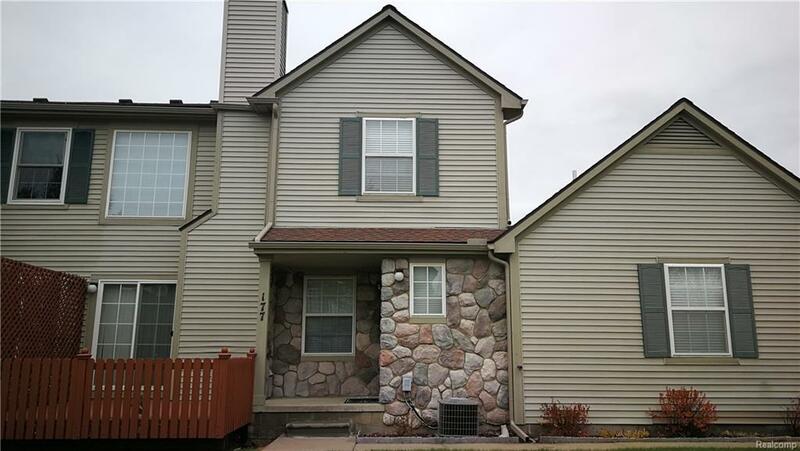 WONDERFUL 2 BEDROOM, 2.5 BATH CONDO. GREAT COMPLEX WITH COURTYARD VIEW. LIVING ROOM WITH 2 STORY CEILING AND FIREPLACE. FIRST FLOOR MASTER SUITE, AND FORMAL DINING ROOM. SECOND FLOOR BEDROOM WITH PRIVATE BATH AND GREAT LOFT AREA/LIBRARY. Unfinished basement. NEW GRANIT COUNTER TOP IN KITCHEN. NEW CARPET, NEW PAINT. NEW LIGHTS, ASSOC FEE INCLUDED IN RENT. REQUIRES 1.5 MONTH SECURITY DEPOSIT, CREDIT REPORT WITH SCORE, EMPLOYMENT LETTER OR INCOME PROOF, $250 CLEANING FEE. NO PETS. IDX provided courtesy of Realcomp II Ltd., via Community Choice Realty Inc and Realcomp, ©2019 Realcomp II Ltd. Shareholders.